MULTI-FAMILY, SINGLE FAMILY AND RETAIL OPPORTUNITY. ATTENTION ALL DEVELOPERS AND INVESTORS. OVER 134 ACRES OF PRIME DEVELOPMENT LAND IN WAUKESHA COUNTY IN THE HIGHLY . . .
ONE OF THE MOST SPECTACULAR SITES EVER OFFERED FOR SALE! PART OF THE ORIGINAL PABST ESTATE AND IN THE PABST FAMILY SINCE 1906. WITH APPROXIMATELY 500 FEET OF BEAUTIFUL . . . DIFFICULT TO DESCRIBE, BEAUTIFUL TO LOOK AT. THIS IS 347+/- ACRES IN THE HEART OF THE WAUKESHA COUNTY COUNTRYSIDE. A TRULY UNIQUE OFFERING THAT ONLY COMES UP ONCE IN A . . . LOCATED IN THE PRIMARY COMMERCIAL CORRIDOR! GATEWAY BLVD THOROUGHFARE. NEXT TO I90 FREEWAY. PARCEL IS IN THE TOWN OF TURTLE WITH DEEDED WATER/SEWER FROM THE CITY OF . . .
+/-86 ACRES!RARE LARGE PARCEL OF LAND TOTALING +/-86 ACRES! SEWER AND WATER AT THE SITE. EXCELLENT INGRESS AND EGRESS ON HIGHWAY 19. IDEAL FOR HOUSING, OR INDUSTRIAL . . . MANY POSSIBILITIES FOR DEVELOPMENT, HIGHLY VISIBLE PARCEL. MULTI FAMILY, SENIOR SERVICES, RETAIL, MEDICAL. LOCATED IN THE GROWING COMMUNITY OF JOHNSON CREEK - ONE OF THE . . .
PRICE REDUCED!!! GREAT OPPORTUNITY FOR QUALITY MULTI-FAMILY DEVELOPMENT ON THIS SITE OFF AIR PARK DRIVE &AMP; GATEWAY DRIVE. ALMOST 25 ACRES OF LAND BEING MARKETED FOR . . . SELDOM DOES SUCH AN EXTRAORDINARY ESTATE SIZED LAKE LOT COME TO THE MARKET! NEVER BEFORE OFFERED, THIS EXCLUSIVE 4 ACRE LAKE PARCEL IS ON THE SANDY EAST SHORE OF UPPER . . .
TWO PARCELS OF 60 ACRES COMBINED ARE LOCATED IN THE CITY OF WHITEWATER NEXT TO THE UNIVERSITY OF WHITEWATER CAMPUS. R2 ALLOWS APPROX 120 UNITS CURRENTLY. THE PROPERTY IS . . .
AMAZING 116 ACRE PARCEL JUST MINUTES FROM OCONOMOWOC WITH 3/4 OF A MILE OF ROCK RIVER FRONTAGE AND 3 PONDS. LOTS OF WILDLIFE. EXCELLENT HORSE PROPERTY POTENTIAL. APPROX. . . . EXCEPTIONAL LAKEFRONT LOT IN THE PRESTIGIOUS WHITTAKER BAY DEVELOPMENT FEATURES 294 FT. OF FRONTAGE AND APPROXIMATELY 1 ACRE OF LAND. SLOPE TO LAKE OFFERS POTENTIAL FOR . . .
OKAUCHEE LAKE PREMIER SHORE WITH MAGNIFICENT 100 FT OF PERFECT SWIMMING FRONTAGE AND IMPRESSIVE PANORAMIC VIEWS FROM SUNRISE TO SUNNY SOUTH TO STUNNING SUNSETS. MATURE . . .
CERTIFIED BUILDING SITEPRIME VACANT LAND. 26 ACRE ''SHOVEL READY'' CERTIFIED SITE IN WHITEWATER TECHNOLOGY PARK . THIS SITE IS READY FOR INDUSTRIAL DEVELOPMENT WITH . . .
BRING YOUR BUILDING PLANS! 7.8 ACRE PARCEL THAT CAN BE DIVIDED. LOCATED JUST OFF I-94 AND HWY 26. SMALLER LOTS AVAILABLE SUBJECT TO VILLAGE APPROVAL. CALL FOR MORE . . .
A GREAT DEVELOPMENT OPPORTUNITY. SITE WAS PROPOSED TO HAVE 178 UNITS PLUS POOL AND CLUBHOUSE. 114 UNITS ARE TO BE COMPLETED. REMAINING LAND IS DIVIDED BETWEEN SIX AND . . . EXCELLENT HIGH VISIBILITY 1.7 ACRE COMMERCIAL PARCEL FOR SALE. CLOSE PROXIMITY TO I94, PABST FARMS, AND SILVER LAKE. PROPERTY IS BEING SOLD ''AS IS'' AND SELLER OFFERS . 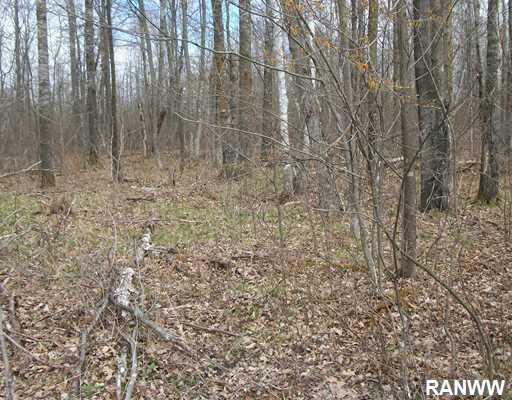 . .
GORGEOUS LAND IN THE VILLAGE OF SUMMIT TO ENJOY HUNTING, FISHING, HIKING, ATVING....YOU NAME IT! PRIVATE POND WINDS THROUGH THE LAND. AIRPLANE LANDING STRIP ON THE . . . INCREDIBLE PIECE OF PROPERTY IS NEARLY 80 ACRES AND LOCATED JUST 1 MILE WEST OF THE DESIRABLE ERIN HILLS GOLF COURSE AND 5+/- MILES WEST OF HOLY HILL. THIS PRIME REAL . . .
UNPARALLELED LOWER NEMAHBIN LAKE PROPERTY. FAMILY OWNED AND TREASURED FOR OVER 50 YEARS. STUNNING PENINSULA SHAPED HOME SITE IS COMPRISED OF OVER 1.5 ACRES AND 1300+ OF . . .
PREMIER COUNTRY ESTATE POTENTIAL! HERE'S A TRULY EXCEPTIONAL PARCEL YOU WOULD BE PROUD TO OWN. WHY GO UP NORTH? OFFERING WOODS, TRAILS AND TILLABLE ACRES - C2 AND A1 . . . THIS PROPERTY IS LOCATED JUST SOUTH OF THE INTERSECTION OF STATE HIGHWAY 26 AND STATE HIGHWAY 26 BYPASS. THE SITE MAY BE DIVISIBLE AND IS AN IDEAL LOCATION FOR ANY . . .
GREAT TILLABLE FARMLAND!! HERE ARE 3 PARCELS, ALL TILLABLE: 33.894 ACRES, 36.407 ACRES, AND 19.602 ACRES FOR A TOTAL OF 89.903 TOTAL TILLABLE ACRES.BUY AS LAND TO FARM . . . LOCATED JUST 2 MILES SOUTH OF DOWNTOWN OCONOMOWOC, THIS 30+ ACRE PARCEL IS CONVENIENTLY LOCATED NEAR I-94, HIGHWAY 16 AND HIGHWAY 18. NORTH PORTION OF PROPERTY IS . . . THIS STUNNING PARCEL HAS GORGEOUS VIEWS SET HIGH ON A LEVEL LEDGE WITH GENTLE ROLLING LAND. A PRISTINE PARCEL CURRENTLY PLANTED IN ALFALFA BUT HAS BEEN IN CORN, WHEAT, . . . HIGHLY VISIBLE VACANT LAND WITH EXCELLENT COMMERCIAL/BUSINESS/RESTAURANT POSSIBILITIES ON A 3.45 ACRE PARCEL IN THE OCONOMOWOC CORPORATE CENTER NEAR PABST FARMS. THIS . . .
OVER AN ACRE OF LAND ON A QUIET BAY WITH 157' GRAVEL BOTTOM FRONTAGE ON OKAUCHEE LAKE. OUTSTANDING! ENJOY THE SUNRISE. 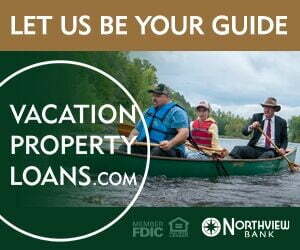 GO FISHING, SAILING, SKIING OR PONTOONING! EVEN . . .
143 ACRES MOL OF THE MOST PRISTINE ACREAGE IN JEFFERSON COUNTY, ROLLING HILLS, AND VIEWS OF LAKE KOSHKONONG. PROPERTY OFF DEAD END ROAD. THE ULTIMATE IN PRIVACY, PARK . . . THIS 40+AC PARCEL HAS A GREAT DEAL OF POTENTIAL. 18AC IS OPEN, ROLLING FIELDS. 9AC IS PROD. FOREST LAND. PROPERTY IS WITHIN 30 MINUTES OF DOWNTOWN MADISON AND UW CAMPUS. . . . THIS 31+- ACRES CAN BE DIVIDED INTO 6-7 ACRES BETWEEN ST. 26 AND OLD 26 FOR $480,000.00 AND THE BALANCE OF THE LAND $300,000. PLEASE DO NOT WALK THE PROPERTY WITHOUT . . .
CONDO PLAT IS RECORDED WITH 12 BUILDING PADS. CONDO FLOOR PLANS ARE 4 UNIT DESIGNS WITH PRIVATE ENTRIES AND ATTACHED GARAGES. GREAT INVESTMENT OPPORTUNITY. APPROX. 21.6 ACRES LOCATED IN THE LONG-ESTABLISHED WHITEWATER BUSINESS PARK WHICH IS ADJACENT TO THE UNIVERSITY TECHNOLOGY PARK. BOTH COMPRISE THE CITY'S PRIMARY . . . THIS 20 ACRES IS BEING SPLIT OFF OF A LARGER PARCEL AND IS SUBJECT TO SURVEY AND POTENTIAL REZONING. PERFECT AREA FOR YOUR RETAIL OR BUSINESS/COMMERCIAL PROPERTY - WITH . . . HERE IS A ONCE IN A LIFE TIME OPPORTUNITY! 82.57 ACRES OF LAND WITH THE WAYNE CREEK RUNNING THROUGH IT. APPROXIMATELY 60% IS TILLABLE WITH SOME PASTURE LAND AND OVER 8 . . .
PRIME COMMERCIAL PROPERTY AVAILABLE WITH FRONTAGE ON INTERSTATE 41 AND STATE HIGHWAY 67. PROPERTY IS AT INTERSTATE ON OFF RAMPS. EAST AVE CURRENTLY HAS SEVERAL FAST FOOD . . .
ONCE IN A LIFETIME THIS COMES ALONG. TAKE YOUR PICK ON 80 ACRES (MLS#1568903), 50.5 ACRES (MLS#1568902) OR GO FOR IT ALL 130.5 ACRES (THIS LISTING). GREAT OPPORTUNITY TO . . . DEVELOP OCONOMOWOC'S NEWEST NEIGHBORHOOD. ON THE EDGE OF OCONOMOWOC AND WAUKESHA COUNTY. 47 ACRES, IN THE PATH OF GROWTH, IN THE SEWER SERVICE AREA OF IXONIA, OVER 400 . . . THIS IS THE VARIETY PACK OF VACANT LAND. SELLER WOULD PREFER TO SELL IN ENTIRETY BUT MAY CONSIDER SPLITS OF THE 5 TAX PARCELS. EXCELLENT VISIBILITY SITES ALONG HWY . . .
57 ACRES IN THE TOWN OF MERTON WITH A POND AND LOTS OF WILDLIFE INCLUDING DEER, TURKEYS AND CRANES. CURRENTLY BEING FARMED. HIGHLY DESIRED ARROWHEAD HIGH SCHOOL AND . . .
BEAUTIFUL LEVEL ACREAGE IN A RURAL SETTING NEAR GOLDEN LAKE. IT MAKES AN EXCELLENT BUILDING SITE OR A HOBBY OR HORSE FARM. YOU COULD EVEN GET GLIMPSES OF GOLDEN LAKE! . . .
100+ ACRE PARCEL WITH GOOD MIX OF LAND. THIS PARCEL IS LOCATED IN NORTH EAST JEFFERSON COUNTY WITH EASY ACCESS TO WAUKESHA COUNTY MUNICIPALITIES.THERE IS APPROXIMATELY . . .
61.9 BEAUTIFUL ACRES IN A PRIME WATERTOWN LOCATION COULD BE YOURS! PERFECT SETTING TO RUN CATTLE, HORSES &AMP; PETS, PLANT CROPS, HUNT YOUR OWN LAND, ENJOY GORGEOUS . . .
HIGH PRODUCING TILLABLE FARMLAND JUST INTO DODGE COUNTY. 54.5 ACRES ARE TILLABLE. TOWN OF HERMAN WILL ALLOW 1 RESIDENCE ON THIS TAX KEY. APPROX 8 ACRES OF WOODED LANDS . . . LOOKING FOR A BEAUTIFUL SPOT TO BUILD YOUR DREAM HOME? LOOK NO FURTHER! IMPROVED LOT ON GREEN LAKE'S EAST SHORE IS NOW AVAILABLE. 150+/- FT OF LEVEL FRONTAGE, BEAUTIFUL . . . LOT 2, 117 ACRES OF THE MOST PRISTINE ACREAGE IN JEFFERSON COUNTY, 93 ACRES TILLABLE, 24 WOODED. THE ULTIMATE IN HUNTING AND AGRICULTURAL INCOME. SOME NON-TILLABLE . . .
A RARE FIND! BUILDABLE LOT ON THE SHORES OF BEAUTIFUL ROCK LAKE! THIS .86 ACRE PARTIALLY WOODED LOT AND APPROX. 75' OF FRONTAGE IS READY FOR YOUR DREAM HOME. BUILD TO . . . STAND ON YOUR INVESTMENT. OVER 126 ACRES OF DODGE COUNTY LAND FOR SALE BOASTING 60 +/- ACRES OF TILLABLE GROUND GENERATING ~$150/ACRE IN RENTAL INCOME. THE REMAINING . . .
WHY LOOK AT THE REST WHEN YOU CAN HAVE THE BEST! 103 ACRES OF THE MOST PRISTINE ACREAGE IN JEFFERSON COUNTY WITH 6 ACRE BUILDING SITE. THE ULTIMATE IN PRIVACY, PARK LIKE . . . EXCITING 17.1 ACRE L-SHAPED BUILDING SITE WITH SMALL POND IN ESTABLISHED WHITEWATER BUSINESS PARK. NEAR SUCCESSFUL COMPANIES, THIS SITE HAS GOOD EXPOSURE AND CURB . . .
75 +/- ACRES: POSSIBLE 2 BUILDING SITES. LOCATED EAST OF JEFFERSON ON DEAD END ROAD, ADJOINING JEFFERSON MARSH. APPROXIMATELY 25 ACRES TILLABLE.EXCELLENT WILDLIFE. BUY . . . THIS IS THE LOT DREAMS ARE BUILT ON!!! PREVIOUSLY ZONED AS A NATURAL CONSERVANCY, THIS PRISTINE 20 ACRE PARCEL HAS BEEN APPROVED BY WASHINGTON CO. FOR RESIDENTIAL . . .
35 ACRES IN THE TOWN OF SUMMIT LOCATED JUST TO THE WEST OF LOWER GENESEE LAKE. THIS IS A FABULOUS LOCATION IN LAKE COUNTRY. BUILD YOUR DREAM ESTATE OR SUBDIVIDE INTO . . .
1.26 ACRES OF PRIME COMMERCIAL REAL ESTATE LOCATED JUST EAST OF DOWNTOWN OCONOMOWOC. THIS HIGH TRAFFIC LOCATION PROVIDES GREAT EXPOSURE FOR COMMERCIAL BUSINESS. . . . THIS PARCEL IS A RARE GEM WITH FRONTAGE ALONG HWY 16. +/- 19 ACRES ZONED BUSINESS / REMAINDER OF PROPERTY IN A-1 FEATURING +/- 37 ACRES OF TILLABLE LAND. A WONDERFUL MIX . . .
PRICE REDUCED!!! GREAT OPPORTUNITY TO USE THE PROPOSED SITE FOR A QUALITY COMMERCIAL DEVELOPMENT. NEXT TO PRO HEALTH MEDICAL OFFICES &AMP; ACROSS FROM WALMART &AMP; . . . THE FUTURE IS BRIGHT FOR THIS 47 ACRES; IT IS IN THE VILLAGE OF CAMBRIDGE AND LOCATED ACROSS THE ROAD FROM LAKE RIPLEY COUNTRY CLUB. INVEST IN YOUR FUTURE TODAY BUT . . .
242' OF WHITEWATER LAKE FRONTAGE IS THE BEGINNING OF THIS AMAZING 5.63 ACRE PARCEL IN THE CLIFFS VIEW SUBDIVISION. PRIVATE ROAD LEADS YOU TO WOODED ROLLING HILLS THAT . 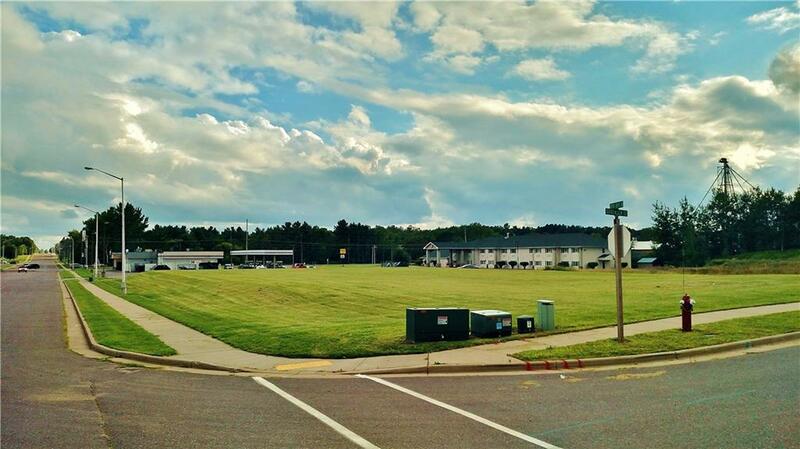 . .
4+ ACRES OF DEVELOPMENT LAND BORDERING THE HIGH SCHOOL AND ACROSS FROM MADISON COLLEGE. PROPERTY CURRENTLY OCCUPIES TWO SINGLE FAMILY DWELLINGS THAT ARE TENANT-OCCUPIED. . . .
LARGE COMMERCIAL 14.9 ACRE BUILDING SITE IN WHITEWATER BUSINESS PARK. EXCELLENT ROAD FRONTAGE WITH LEVEL BUILDING SITE. PERFECT FOR YOUR EXPANDING BUSINESS OR STARTING . . .
MULTI FAMILY BUILDING SITE: VIEWS OF CITY PONDS, UNDEVELOPED AGRICULTURAL LANDS, NEAR CITY PARKS AND SHOPPING. GREAT POTENTIAL. LOCATION! LOCATION! LOCATION! THIS 25 (MOL) ACRE PARCEL IS IN THE VILLAGE OF JOHNSON CREEK AND IS A PRIME PIECE JUST WAITING TO BE DEVELOPED. NOT MANY OF THESE . . . THE ONLY VACANT LOT I'M AWARE OF IN JOHNSON CREEK THAT IS ALREADY ZONED INSTITUTIONAL RESIDENTIAL, PERFECT FOR A CBRF. JUST STEPS AWAY FROM BEING APPROVED FOR 3-24 BED . . .
BEAUTIFUL LAKEFRONT BUILDING SITE FOR YOUR DREAM HOME. NEARLY 1/2 ACRE PARCEL BEING CREATED FROM A LARGER PROPERTY, FAMILY-OWNED AND TREASURED FOR OVER 50 YEARS. . . . THIS LAND HAS FRONTAGE ON BOTH SIDES OF JERICHO CREEK. RICH BLACK EARTH, TRAILS FOR HORSEBACK RIDING, WALKING, FISHING, NATURE SURROUNDS THIS 34 ACRE PARCEL. POLE BARN 2 . . .
OVER 52 ACRES OF BEAUTIFUL COUNTRYSIDE FOR SALE. INCLUDES 2.766 ACRE BUILDING LOT PERC'ED AND READY TO BUILD. OVER 30+ PRIME TILLABLE ACRES. INCLUDES WALKING TRAILS, . . .
6 CONDO LOTS FOR SALE, $125,000 PER LOT. AMAZING VIEWS OF WHITEWATER LAKE &AMP; RICE LAKE. ACROSS STREET FROM PUBLIC BOAT LAUNCH &AMP; WHITEWATER STATE PARK BEACH. . . .
ONCE IN A LIFETIME THIS COMES ALONG. TAKE YOUR PICK ON 80 ACRES (THIS LISTING), 50.5 ACRES (MLS#1568902) OR GO FOR IT ALL 130.5 ACRES (MLS#1568904). GREAT OPPORTUNITY TO . . .
GOOD MIXED USE PARCEL OF LAND. APPROXIMATELY 30 ACRES TILLABLE, 30+ ACRES OF WOODS, MARSH AND POND. THIS PROPERTY HAS SOMETHING FOR EVERYONE. THERE IS OPEN TILLABLE . . .
PICTURESQUE 38+ ACRES IN THE TOWN OF IXONIA. THIS LOT INCLUDES ORIGINAL HOME THAT CAN BE REMOVED TO BUILD YOUR NEW ONE ALONG WITH THE QUAINT BARN WITH STEEL ROOF. IDEAL . . . EASILY ACCESS THIS 57 TILLABLE ACRE PARCEL FOR YOUR OPERATION FROM HIGHLAND DR. VERY SATISFACTORY YIELD FROM RECENT CORN AND BEAN YIELDS. IT'S A GREAT LOCATION TO ADD TO . . .
67 ACRES ROLLING LAND WITH WOODS AND LOWLAND TILLABLE AREAS. THIS PARCEL IS APPROVED FOR A 2 ACRE BUILDING SITE SET APPROXIMATELY 700 FEET OFF THE ROAD IN A WOODED AREA . . . FANTASTIC TILLABLE FARMLAND!!! HERE IS A 36.894 ACRE PARCEL OF TILLABLE LAND ON HWY E IN EMMET. THERE IS A TOTAL OF 500 ACRES AVAILABLE FOR SALE. BUY AS FARMLAND OR AN . . .
ONE OF A KIND 39.141 ACRE PARCEL ABOUT 3 MILES NORTH OF HWY 60 &AMP; ABOUT 3 BLOCKS EAST OF HWY 67, TOWN OF HUBBARD, NW OF HARTFORD. EASY PAVED ACCESS FROM HWY 67. . . . LOCATED IN THE TOWN OF HARTFORD IS THIS PIECE OF PROPERTY THAT MAY HAVE GREAT POTENTIAL FUTURE USE. THE CITY OF HARTFORD LIMITS ARE ACROSS THE STREET. IT HAS STRUCTURES . . .
25+ ACRES OF PARADISE YET SO CLOSE TO TOWN. ABUNDANT WILDLIFE USES THE 5 SMALL PONDS ON THE CREP PORTION OF THIS PROPERTY. THE BALANCE OF THE PROPERTY IS PLANTED AND . . .
DEVELOPMENT ACREAGE ON NEAR WEST SIDE OF WHITEWATER PERFECT FOR RETAIL/OFFICE/MULTI-USE PROJECTS. SITE IS IMPROVED, ADJACENT TO FORT HEALTHCARE CLINIC, NEAR WALMART, CAR . . .
(+/-) 25 ACRE LEVEL LOT ON THE SOUTHWEST CORNER OF GOLDEN LAKE ROAD AND CEDAR LANE IS IDEAL FOR BUILDING A NEW HOME, HORSES, OR JUST FOR RECREATION. IT CAN BE PURCHASED . . .
OVER 8 ACRES OF LAND ACROSS THE STREET FROM WHITEWATER LAKE HAD ALREADY BEEN APPROVED FOR DEVELOPMENT FOR 4 LOTS. ALL HAVE A WOODED BACKDROP FOR PRIVACY. CLOSE PROXIMITY . . .
WISCONSIN CERTIFIED SITE LOCATED IN THE UNIVERSITY TECHNOLOGY PARK, WHICH IS ADJACENT TO THE LONG-ESTABLISHED WHITEWATER BUSINESS PARK. BOTH COMPRISE THE CITY'S PRIMARY . . . BUILD YOUR DREAM HOME AND DREAM OUTBUILDING ON THIS BEAUTIFUL ESTATE SIZED PROPERTY CONVENIENTLY LOCATED IN THE VILLAGE OF SUMMIT. MINI FARM? GIANT YARD? THIS . 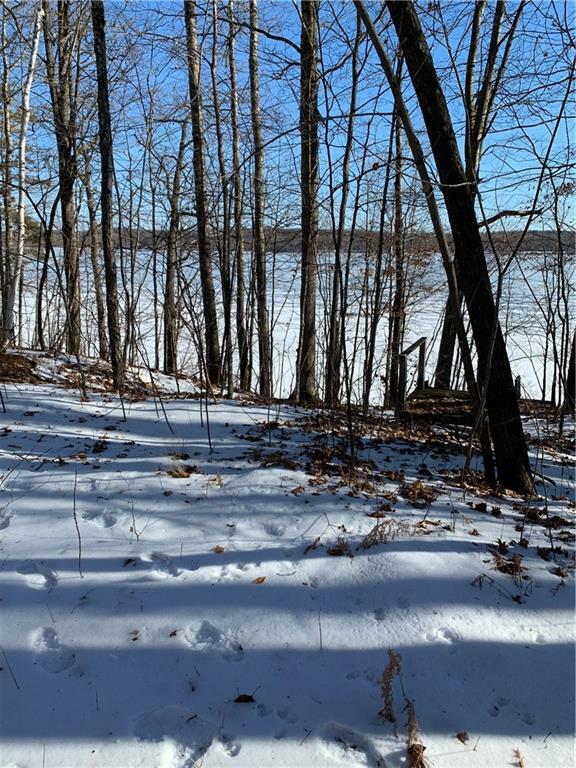 . .
BEAUTIFUL 7.78 ACRE LOT WITH WHITEWATER LAKE VIEWS AND SHARED LAKE ACCESS. PROPERTY COMES WITH A 1/25 INTEREST IN LOT 1 THORN HEIGHTS. SELLER WILL CONSIDER DIVIDING. . . .
PRIME VACANT LAND! 7.56 ACRE LOT IN WHITEWATER'S TECHNOLOGY PARK. THIS SITE IS READY FOR INDUSTRIAL DEVELOPMENT WITH UTILITY, TRANSPORTATION ACCESS INCLUDING RAIL. . . .
PRICE REDUCED!!! GREAT OPPORTUNITY TO USE THE PROPOSED SITE FOR A QUALITY COMMERCIAL DEVELOPMENT. ACROSS FROM BERRES BROTHERS COFFEE HOUSE AND OFF AIR PARK DRIVE FOR . . . LOCATION, LOCATION, LOCATION! GREAT POTENTIAL FOR MANY FUTURE USES. CROP LAND IS LEASED TO NEIGHBOR FOR WINTER WHEAT. JUST SOUTH OF THE WAL-MART BETWEEN WATERTOWN AND . . .
BREATHTAKINGLY BEAUTIFUL ON THE EDGE OF THE JEFFERSON MARSH AND PHEASANTS FOREVER LAND THIS PROPERTY IS A LITTLE SLICE SOLITUDE. THERE IS A TWO ACRE LOT IN ADDITION TO A . . .
HUNTERS OWN A PIECE OF PARADISE! THIS BEAUTIFUL PARCEL IS LOCATED IN A PEACEFUL COUNTRY SETTING WITH A GENTLE SLOPE AND A CREEK! THIS LOT WILL MAKE A GREAT HOMESITE (AND . . .
50+ ACRES OF TILLABLE LAND ADJACENT TO W. KOSHKONONG LAKE RD AND OLD 26 ROAD. THIS PARCEL IS ADJACENT TO AN ADDITIONAL 35 ACRE OF A-1 ZONED FARMLAND OFF OF WISHING WELL . . .
35.4 ACRES OF TYPICAL KETTLE MORAINE INCLUDING A 1.2 ELEVATED RESIDENTIAL BUILDING SITE ACROSS FROM THE WISCONSIN STATE FOREST AND IT'S HORSE, HIKING, BIKING, . . .
BEAUTIFUL GENTLE ROLLING LAND MADE UP AS A COMBINATION OF PRAIRIE, AGRICULTURAL, AND HILLSIDE HOME SITE SURROUNDED BY WOODS TO THE EAST FOR PRIVACY! PRIME LOCATION . . . VILLAGE OF SUMMIT, KETTLE MORAINE SCHOOL DISTRICT 9.5 ACRE ONE OF A KIND BUILDING SITE. PRIVATE SETTING, 1 ACRE PRIVATE POND, ABUNDANCE OF WILDLIFE. SITE PERMITS . . .
SILVER LAKE LOT. WONDERFUL LOCATION ON THE QUIET S SILVER LAKE RD PORTION OF SILVER LAKE. LOT IS LEVEL AND BUILDABLE. FRONTAGE HAS SOLID SAND BOTTOM FOR WATERFRONT . . .
PRICE REDUCED!!! OPPORTUNITY IS KNOCKING WITH THIS UNIQUE 2 ACRE PARCEL WHICH CAN BE BROKEN INTO 5 OR 6 SMALLER LOTS DEPENDING ON IF USED AS SINGLE FAMILY OR DUPLEX . . .
MULTI FAMILY 3.1 ACRE BUILDING SITE: FORT ATKINSON'S GROWING WEST SIDE NEAR INTERSECTION OF FEDERAL AND STATE HIGHWAYS. DIVIDABLE 27+ ACRES ADJOINING THE KETTLE MORAINE STATE FOREST. APPROVED TO BE DIVIDED INTO UP TO FOUR LOTS FOR THE INVESTOR IN YOU. GREAT OPPORTUNITY TO OWN A PRIME . . . UNIQUE 27.7 ACRE PARCEL WITH 1381' LAKE FRONTAGE ON LAKE IROGAMI. WEST LOT LINE HAS 1134' OF FRONTAGE ON WAUSHARA COUNTRY CLUB. PARCEL HAS A MIXTURE OF MATURE PINE AND . . . SPECTACULAR 16.48 ACRES OF SUPREME WOODED HUNTING LAND WITH COMMANDING HILLTOP VIEWS OFFERING SEVERAL BUILDING SITES WITH MULTI-DIRECTIONAL EXPOSURE AND VIEWS. IDEAL FOR . . .